New chance to try out some Free products from Chickadvisor! 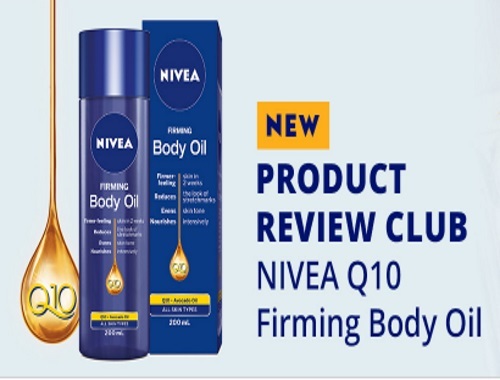 Chickadvisor's Product Review Club is looking for 1,000 Canadian women to test it a fabulous Nivea Q10 package -- which also contains Nivea Q10 Firming Body Lotion and Nivea Q10 Anti-Age Hand Cream! Click on the links below for more products detail and apply by May 14, 2017 for your chance to be one of the Nivea advocates! Offer open to Canadian residents only. Selected members will be contacted by email the week of May 15, 2017. Not a Chickadvisor member yet? Click here to sign up and complete at least 5 reviews on product that you've tried to be eligible for campaign such as this!